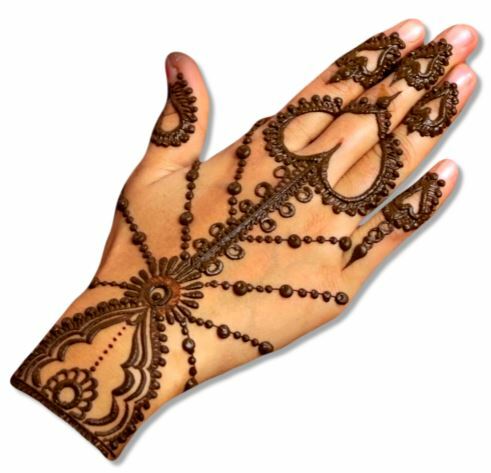 Welcome to Arabic Mehndi designs gallery, Here you will find some awesome henna designs for both front and backhand. If you already familiar with Arabic henna designs than you definitely know the perfectness of these designs. let's start scroll to check perfectness and beauty of these designs. 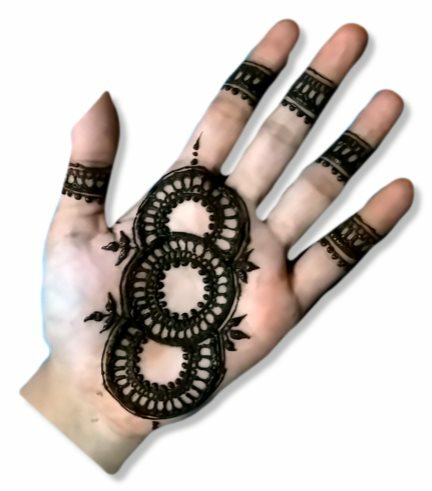 Those who like perfectness in henna, they also like Arabic henna design. You can see in this design the perfectness of Arabic henna patterns. This is Arabic New Bridal Mehndi Design. 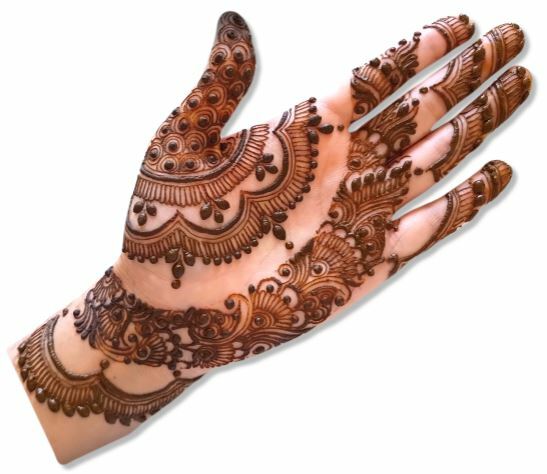 After seeing the perfect design above now we will talk about the easiest mehndi, such a design that can easily be drawn. 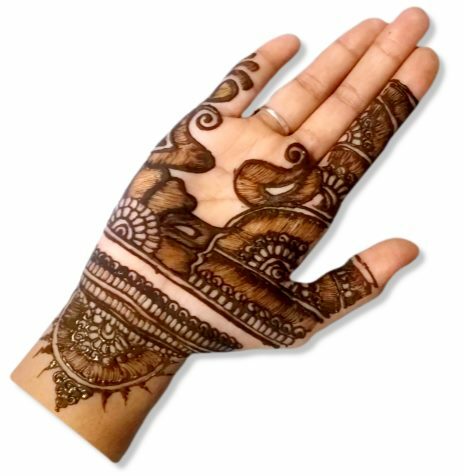 This is an easy mehndi design and will not take your extra time. 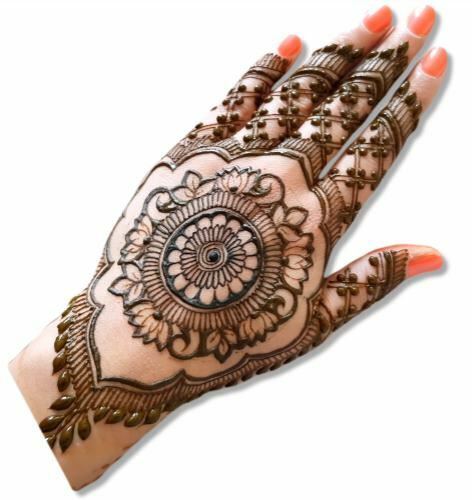 Eid mehndi is very popular in the Arab area and this time it is the best design for Eid. 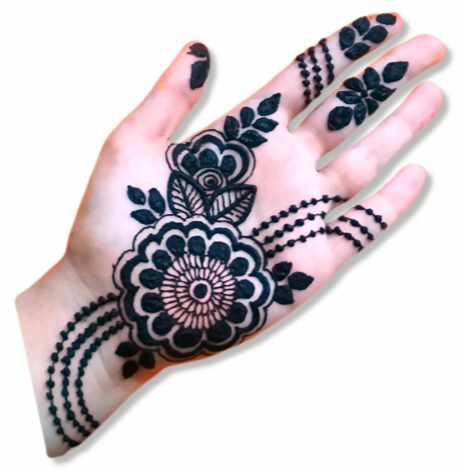 Eid festival will keep coming every year so you will need more Eid mehndi designs. 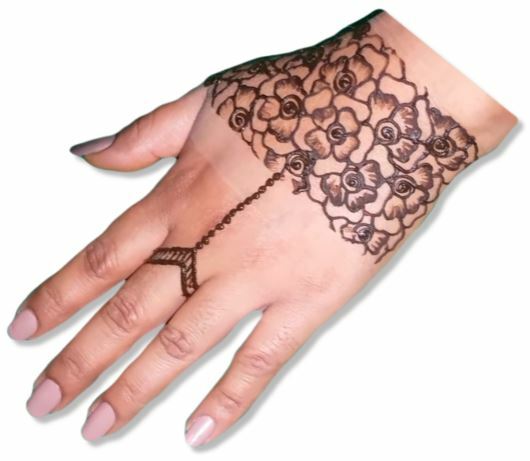 Flowers bloom everywhere, In Arabic henna, you will find many flowers mehndi designs. 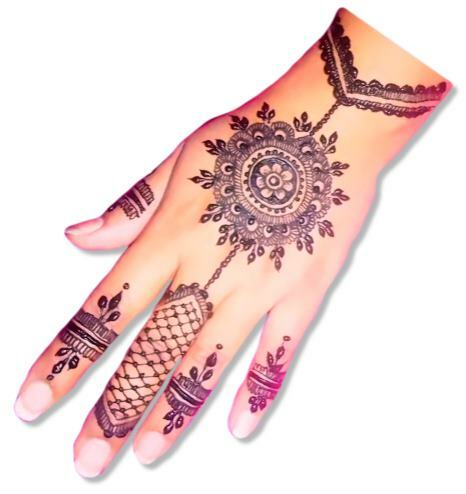 This design will definitely give you a view of the art of Arabic henna, how perfect it is, how beautiful it is. 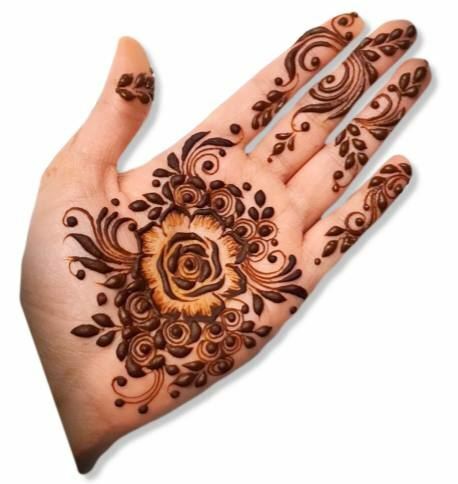 There is no difference between the flower and floral henna design, both belong to the same mehndi family. Both are different but it is very difficult to differentiate above and this flower mehndi design. Just as the flowers bloom everywhere, the heart also beats everywhere. This Heart mehndi design is for those whose heart really beats for someone. 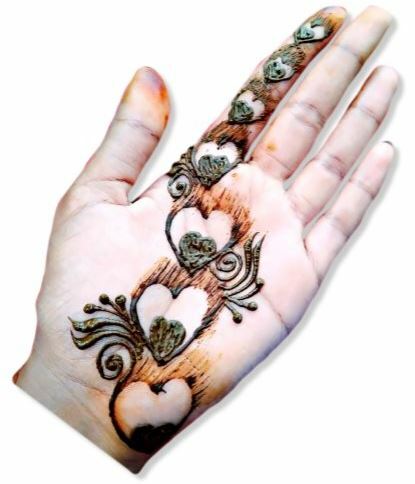 Get more heart mehndi designs here. This is the mixture of Indian henna designs and Arabic henna designs. 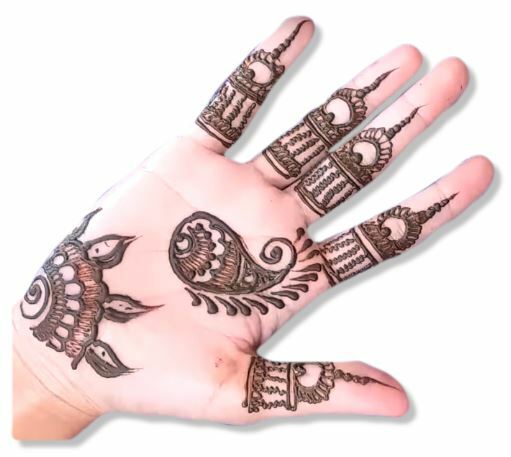 The finger part of this design belongs to Arabic henna and palm part belongs to Indian mehndi designs. In real terms, we can say Jewellery henna is originated from Arabic designs. This is backhand Arabic heart jewellery mehndi design. If you like heart design, you can use it. Simple mehndi design needs most and this simple Jewellery henna design will surely meet that need. You do not have to work hard, make simple Mandala on the fingers and connect them with garland. 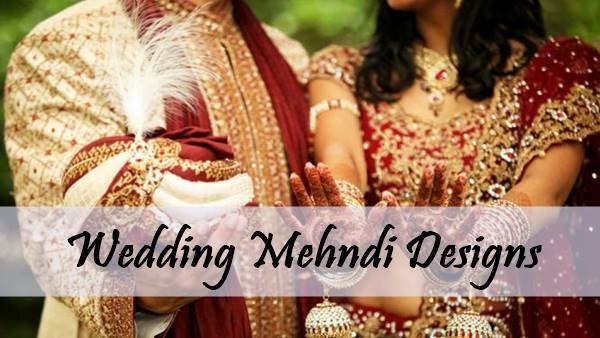 Here we collect awesome Jewellery mehndi designs for you. Ofter when children see others drawing mehndi on hands then they also demanded mehndi. 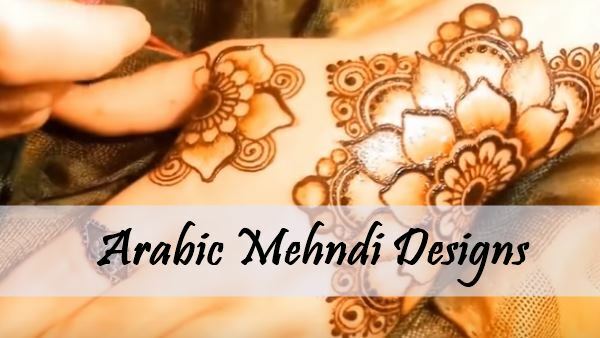 This Arabic design is special for kids and you can find here more mehndi design for kids. This design would hardly have you ever seen before because of this is totally latest design. 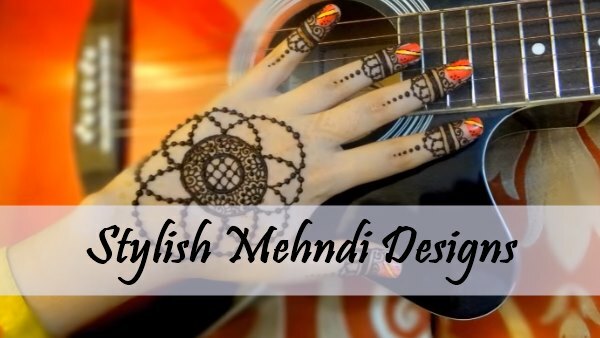 This design for girls who always keep looking for something new and latest mehndi designs. Mandala is built between the middle of the backhand and the from outside it is decorated with an Arabic pattern. You can try Red nails police with this Arabic Mandala mehndi design. 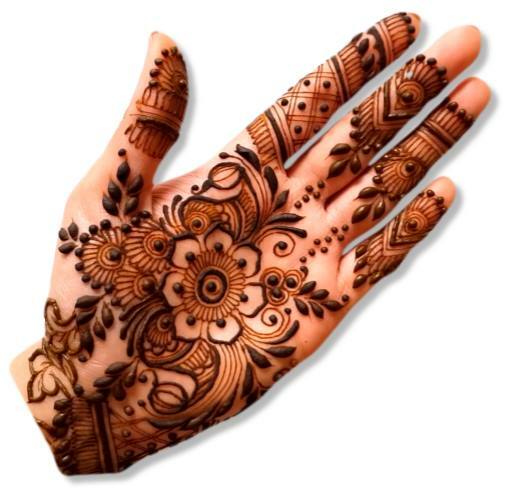 Fashion changes every day and new mehndi designs will be required for new fashion. 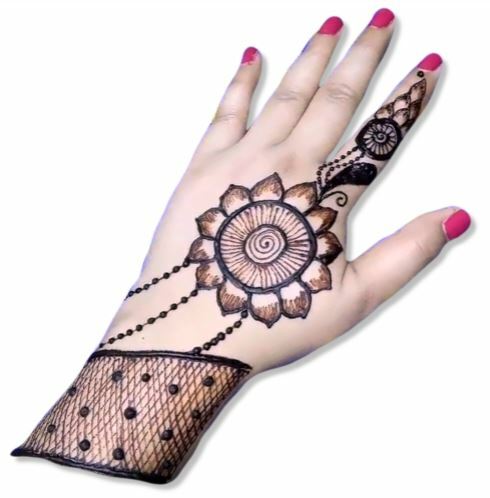 If you are always looking for something new than try this stylish mehndi design. This is a mixture of Pakistan and Arab henna patterns. 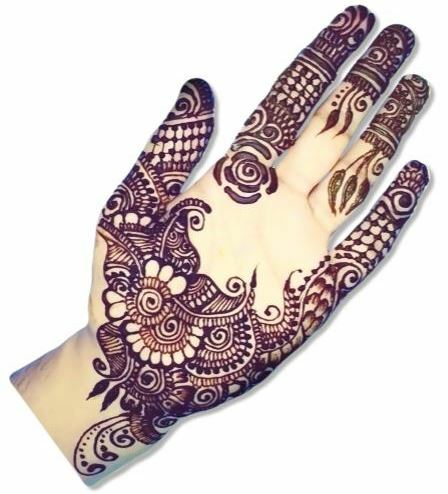 Many people like Arab-Pak henna patterns on special occasions like Eid, Ramadan, Iftar Party etc. Find here more Pakistani Mehndi designs. If you try this, you will feel like a peacock is spreading its feathers on your hand. This whole scenario will give you a virtual view of Peacock dancing on the hand. 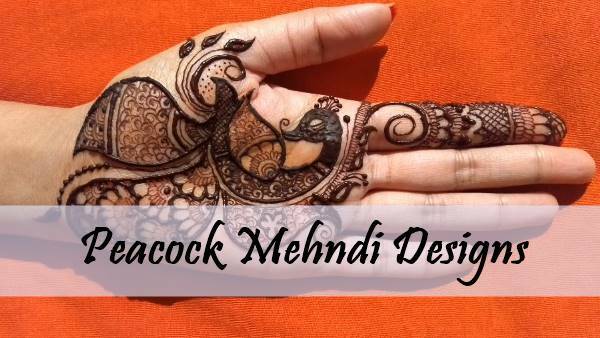 Find more Peacock mehndi designs. 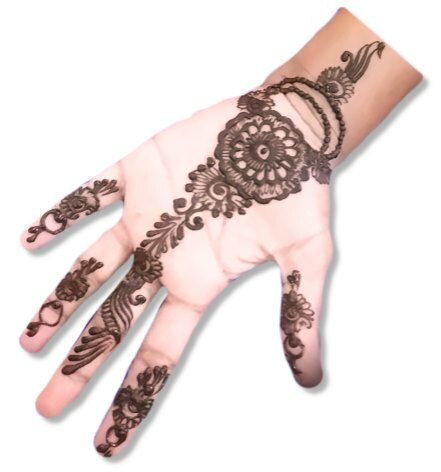 In shaded mehndi, we spread the henna in every pattern so hand will look fulfil-up. When you washed your hand this design will look fantastic and attractive. What you say about this design? Is this not looking simple? Yeah! I know your answer is Yes, this design is really so simple and easy to make. 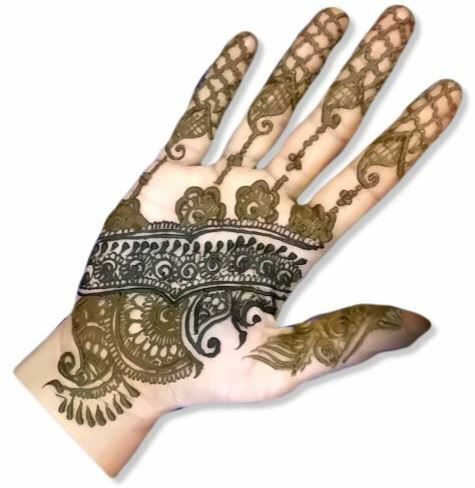 You can live here with more simple mehndi designs. Everyone wants our style to be the best everywhere and we do a lot of things to stay in style. This design definitely helps you to always stay and live in style. 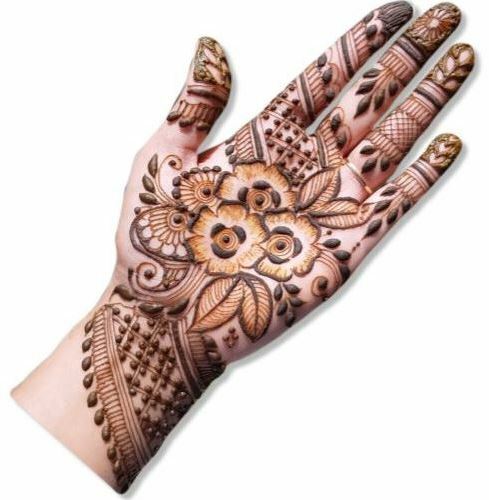 Get more Stylish Mehndi designs. In this design, three unique round patterns are made on the hand and fingers also contain unique strips on the fingertips. You can try it for your college, office or where uniqueness is required. If you want to give an Arabic touch to your wedding then I suggest you use this design. This design also contains a unique pattern on the wrist. 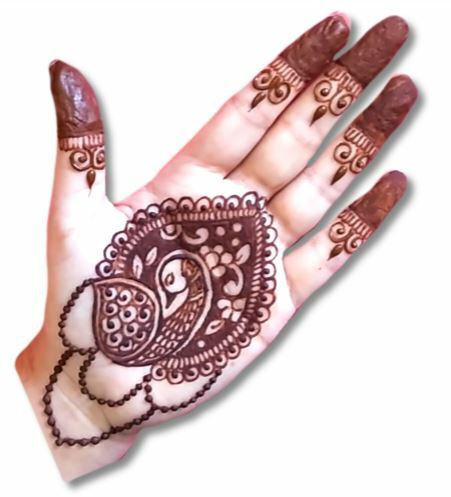 You can see here more Mehndi designs for Wedding. 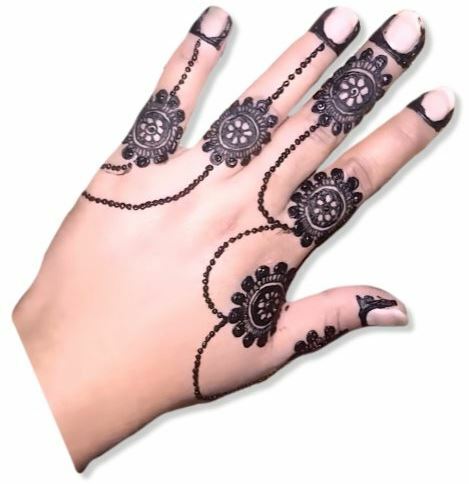 After publishing these Arabic Mehndi designs, I hope you have found a suitable design for yourself and you have started to make it.